You and Your Land – Do You Need a Variance? It is important that you discuss variances with your architect or contractor at the onset of designing your new construction or addition. Many times architects can work within the town’s property requirements, thereby eliminating the need for a variance and the associated fees that come with the variance. Every Municipality in the State of New Jersey has a Zoning Board of Adjustment except for those who have a combined Land Use Board for both Planning and Zoning. 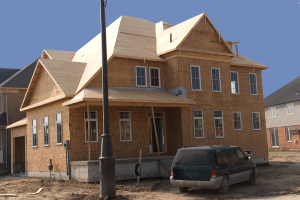 Planning Board’s are typically for development applications and subdivisions. For variance applications before a Zoning Board or a combined Land Use Board, property owners will need to notify any property owners within 200 feet of your Property. The notice requirement allows neighbors to appear at the hearing to either speak in favor or against the variance application. Once the Application is deemed complete by the Land Use Official, the matter will be set down for a hearing. At the hearing it will be necessary for either you or your attorney to address the Board to convince them why obtaining a variance, or varying from the requirements of the Borough Ordinance, does not violate the Borough Ordinance and complies with the requirements of the Land Use Code. If the variance is approved, you will be permitted to erect the structure that was proposed. However, if denied, you will forever be prevented from constructing the proposed structure. It is often necessary to meet with an attorney and possibly an architect, professional planner or professional engineer before submitting a variance application to a Zoning Board. Meyerson, Fox, Mancinelli & Conte, P.A.’s land use department regularly assists homeowners with variance applications before Zoning Boards of Adjustment throughout Bergen County. If you are considering construction on your property and have questions about the variance process, contact one of our land use attorneys today.